Recently, Afghan cricket team won the two-match series against Scotland. Now, they must be full of confidence when they get out on the ground to play the Irish opponents. 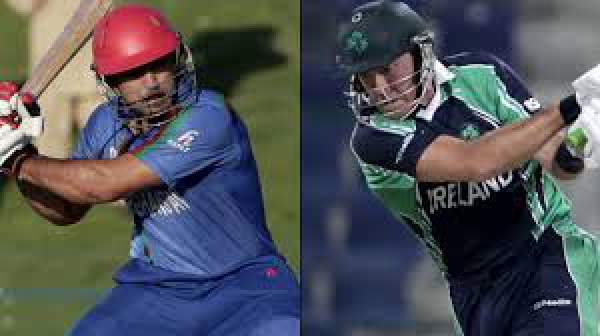 Asghar Stanikzai is leading the Afghan team while William Porterfield is going to lead the Ireland side. Irish team faced a series defeat when they played at home against Sri Lanka. They lost both the ODIs and SriLanka beat them in all the departments. However, with many hopes, the captain would like his team to give their 100 percent while playing Afghanistan. The skipper has improved his team to a great extent in the recent time. With every single game, they have shown that they have come up here to stay. They were the only team in the recently concluded ICC World T20 2016 who were successful in defeating the champions of this year, West Indies. Lalchand Rajput is their new head coach. He has replaced the former Pakistan captain Inzamam-ul-Haq as he chose to work with his home cricket board, PCB. It is going to be the second series since his appointment, and he would like his boys to keep the winning momentum. He would like the teammates to giver 100% just like they did against Scotland. This time, Ireland will not have the support of Max Sorensen, Geroge Dockrell, Boyd Rankin, Andrew Balbirnie, Craig Young, and Niall O’Brien. It is because they all are not available due to several reasons and injury is one of the major cases. And for this series, they would have some new players likes of Mark Adair, Sean Terry, Peter Chase, and Tyron Kane, who are all able to make their win team. In the meantime, Afghanistan side has many capable players. The team needs to think very much as the majority of their star players are fit and fine and available for the match. The series is going to be interesting as both the teams have evenly matched squad for all the five ODIs. IRE vs AFG 2nd ODI is set to start at 10:45 a.m. local time (3:15 pm IST, 5:45 am EST). There will be no live coverage in India and UK. Afghan TV will telecast the game live in Afghan. For the live streaming option click here. Which team do you think will win today’s match? Come back for the match result, full video highlights, scorecard (scoreboard), man of the match, points table and much more. Stay tuned to The Reporter Times for latest cricket news and all other sports updates. Next articleYeh Hai Mohabbatein 12th July 2016 Tuesday Episode: Goons Kidnapped Ruhi Or Ishita ?